The SprayCannon 15 is especially designed to cover both small indoor- and outdoor areas where dust and odour suppression is required. The machine is perfectly suitable for small demolition, recycling and construction applications, also it can be successfully used at asbestos removal sites. Since the machine is very compact and light, it is very easy to manouvre and lift. 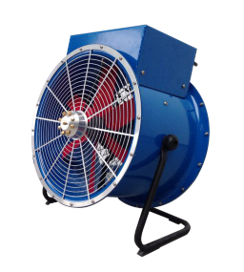 Due to the Frequency Valve for the Fan and Waterusage, this machine can be adjusted to satisfy the specfic needs on the job!